3 in pipe out to a dump truck muffler. 76 Silverado with a 350, headers with 2.5" pipe to 12in long glasspacks and turned out behind rear tires with 4in tips. Sounds very nice i must say! stock cat. a patriot sp? 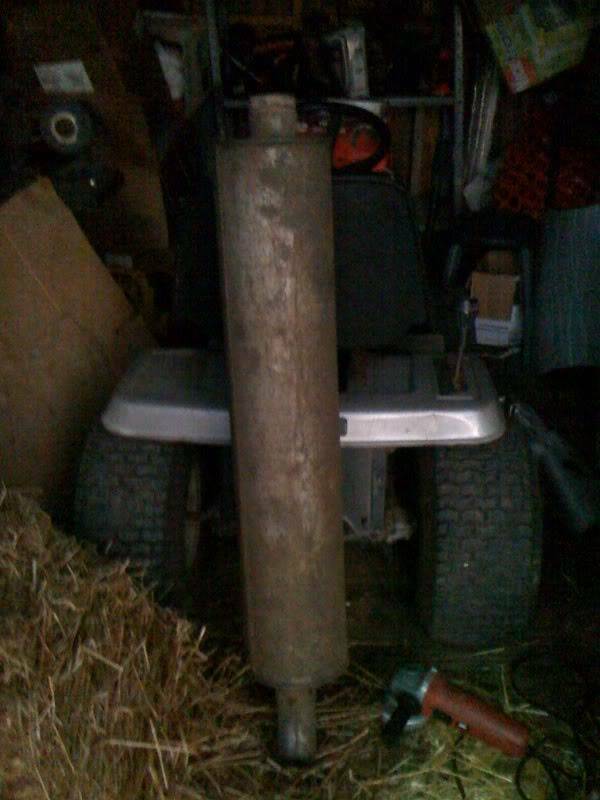 muffler to a dump before the rear axle. I got a 2.5" exhaust with a 12" pack turned backwards for a lower tone but less rasp and a mandrel bent tail pipe no cat stock manifolds for now. But come spring time she's getting headers duals and flowmasters!! Yeah I'll get a clip of my trucks sound up here eventually but I think mine sounds good... Could be louder but I like the tone. I'm sure headers would fix the loudness but for now I'll stick with the restrictive manifolds until I can afford to do it right! Mine has no muffler or cat . I don't like any restrictions. I ditched the muffler and have a strait pipe now. i have about 1.5' of pipes then 12" glasspacks thats it they set right behind the cab; darn they sound good but you cant sit in the truck while its running for too long.